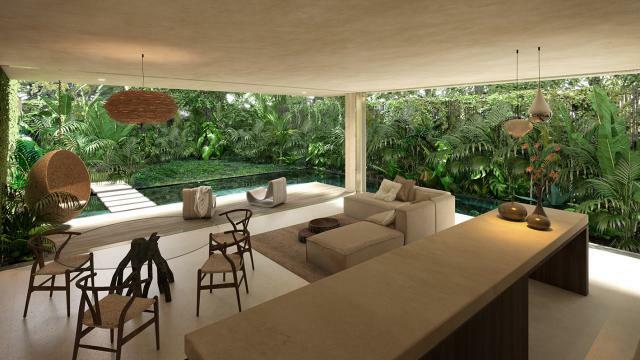 Enjoy a quiet and relaxing life in the Mayan jungle in this beautiful Penthouse with a private pool. This two bed, two bath penthouse has amazing views from the roof top. We would like to present Essentia by Artia, which is located in Lum Zama, an exclusive gated community inside Aldea Zama. 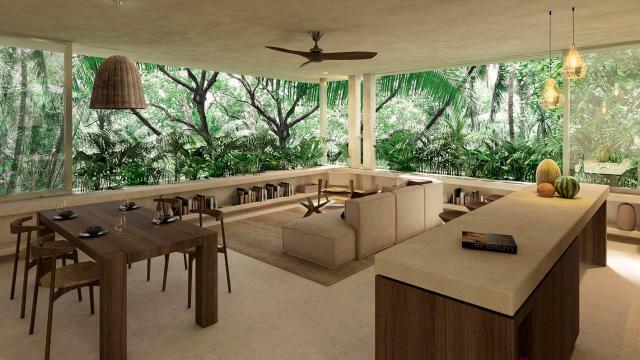 This is an eco-chic development were 50% of the jungle is preserved. 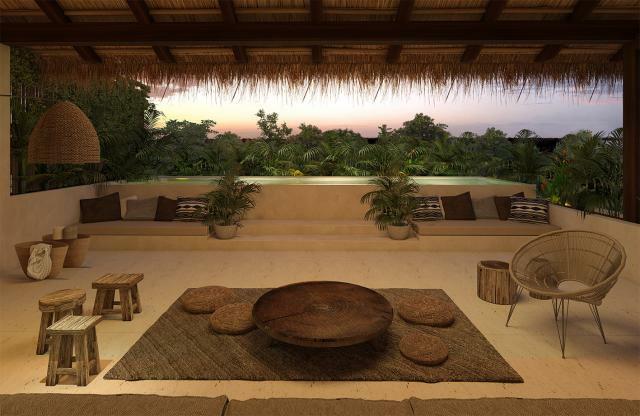 Only minutes away from the white sandy beaches and crystal blue waters of the Caribbean and Downtown Tulum. Every Penthouse is located on the second floor where you have the living space. 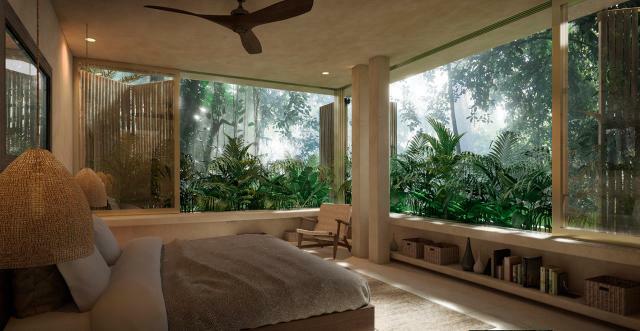 There are large windows that give the space a great view so you feel like you are living in the middle of the jungle. 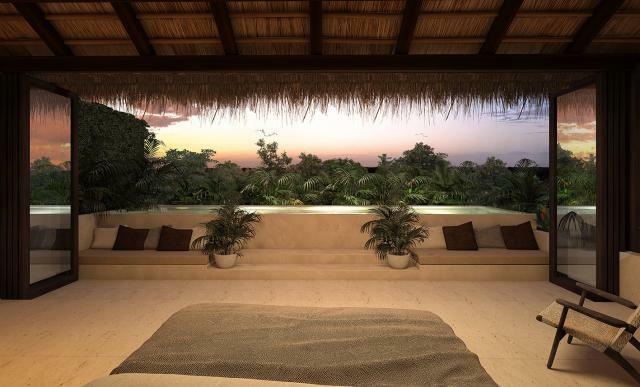 On the second level you will find the master and guest bedrooms each with its own private bathroom. The top floor is the solarium which is partially covered and features a half bathroom and a swimming pool. From the roof top you can access another level that serves as a look out for an even more spectacular view! Enjoy Tulums bohemian ambiance by walking down its main streets. Whether you are in downtown or at the hotel zone you will find a variety of restaurants, shops, and activities. From your new home you will have access to many near by attractions. You can visit the archaeological sites in Tulum and Coba. Take a trip down to Mahahual and Bacalar, visit a snorkeling or cenote park, or even visit one of the 7 modern wonders of the world, Chichen Itza. 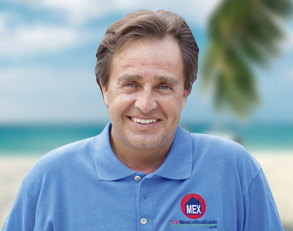 Tulum is only 45 minutes from Playa del Carmen and one hour and 20 minutes from Cancun which are excellent to visit on day trips or stay overnight. Start living a life surrounded by vegetation and outdoor activities only a few minutes from the beautiful Caribbean sea.